Thank goodness it's Friday but more importantly, T.G.I.Fabulous! 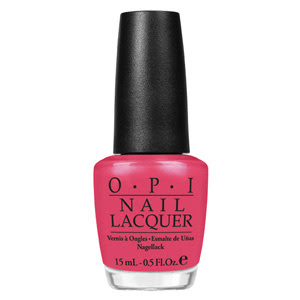 We are crazy about the OPI Spring/Summer 2011 nail lacquer collection for two reasons: 1. The colors are amazing 2. It's all about Texas, y'all! We certainly are proud of our state and heritage. Now we can show our Texas spirit on our finger tips and two steppin' toes. 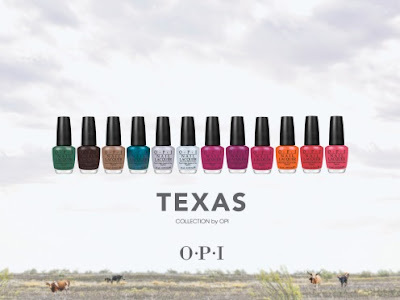 The line features six jewel toned colors: Don't Mess with OPI, Suzi Loves Cowboys, San Tan-tonio, Austin-tacious Turquoise, It's Totally Fort Worth It!, and I Vant to be A-Lone Star. There also six sorbet-like colors: Do You Think I'm Tex-y?, Houston We Have a Purple, Too Hot Pink to Hold'em, Y'all Come Back Now, Ya Here?, Big Hair...Big Nails. Shown below is our favorite shade in the Texas line called Guy Meets Gal-veston--but we may be a little biased. Tell us which color is your favorite with a comment! The OPI website is also fabulous! The "Try on This Color" tab allows you to see which OPI color will look best on you. It's fun, interactive way to see all that OPI has to offer. We hope you enjoyed our Friday blog post! Every Friday, we plan to feature something we think is "fabulous". Don't forget to check out our website and to "like" HHDesignHouse on Facebook. Have a fabulous Friday and a wonderful weekend! Y'all come back now, ya hear?